If your home, garage or garden is becoming cluttered with old, no longer needed items, appliances, pieces of furniture etc. then you definitely need to reclaim your living space and get rid of all the junk and rubbish once and for all. Rounding up and disposing of old junk and rubbish cramping your residential property is best handled by a specialised waste clearance company which can handle the process accordingly and leave you with money to spare. For the most efficient and affordable waste clearance in London, customers should make us their top choice of service provider because we have the capacity and expertise to collect, and dispose of most types of common household junk including old furniture pieces, renovation and construction leftovers, redundant appliances, disused gardening equipment, old or damaged garage machinery, broken power tools and many more. We also deal with removal and disposal of large amounts of green waste and garden junk, as these can be a real nuisance to collect and dispose of. Junk clearance in London has never been easier or more affordable and efficient, as we will have your residential property free of rubbish and disused items with minimum hassle and fuss, and within the shortest time possible. 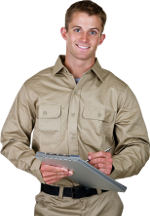 We will take care of the entire clearance process from start to end, so you don’t have to worry about a single thing. This also includes collection and loading of unwanted items from anywhere on the property, whether that be the garage, the attic, the basement or any other room, as well as the garden. When it comes to proper waste clearance London based customers can also rely on us to dispose of their unwanted items accordingly. In other words, we will recycle and reuse whatever possible, in order to divert as much of the junk as possible from ending up in landfills. 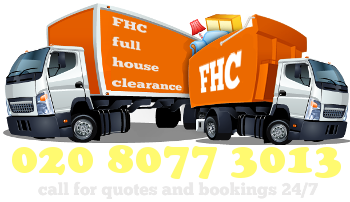 We also offer the most flexible and convenient junk clearance London households who are looking to get rid of unwanted items cluttering their home, without having to pay too much will be glad to know that we charge only for items actually removed. More so, we can make the whole process more cost effective, as there will be no need for customers to secure a local skip permit. Since our London waste clearance is a user friendly service, we also do all the heavy lifting and loading for you. Also, our London junk clearance is swift, hassle-free service, which will have your property cleared of all junk on the same day, or next day at the latest. Our same day or next day service policy is something we are very serious about, and will do our best to have everything wrapped up without any costly delays.